Press the green power ON/OFF button to turn on the display. Get a certified scale ticket for your empty weight for the axle group being monitored. Do not use known weights or tare weights for this, the truck must be empty and the certified weight taken at the time of calibration. Park on level ground, chock the wheels and turn off the parking brake. Press and hold the Calibrate low (C LOW) button until the words CAL LOW appear on the screen. 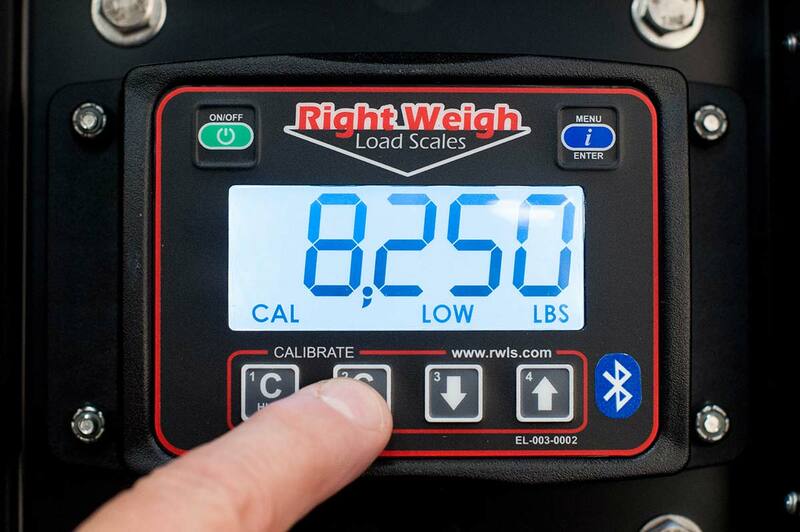 Adjust the weight using the up and down arrow buttons until the weight matches your scale ticket as closely as possible for the axle group that the scale is monitoring. Press and hold the C LOW button until “CAL LOW” disappears from the screen. This saves the empty calibration point into the scale. 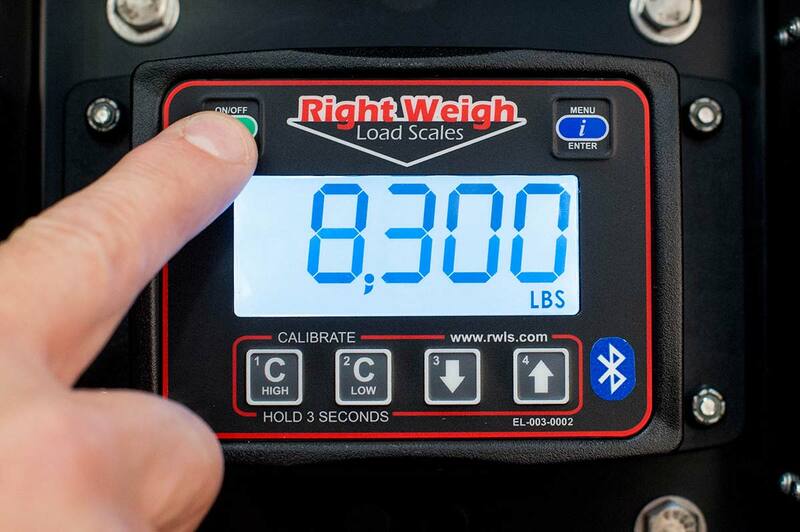 Now, get a scale ticket for your certified loaded weight for the axle group being monitored. 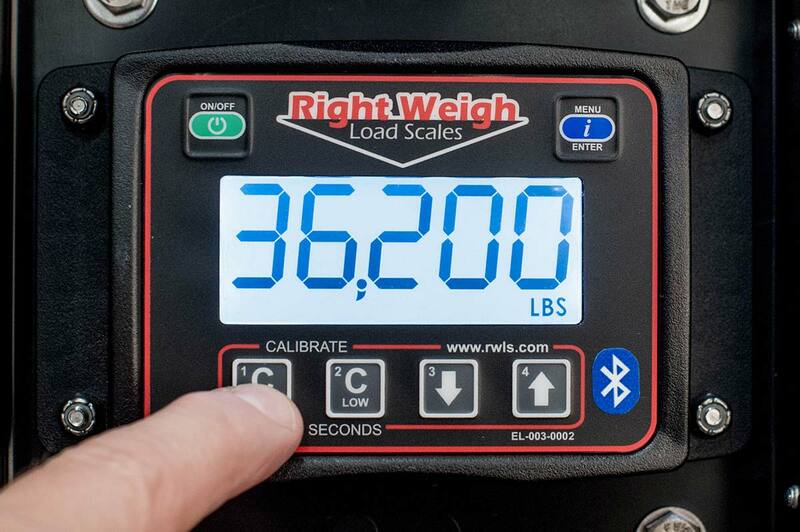 Do not use known weights for this, the truck must be loaded and the certified weight taken at the time of calibration. Park on level ground, chock the wheels and turn off the parking brake. Press and hold the Calibrate High (C High) button until the words “CAL HI” appear on the screen. 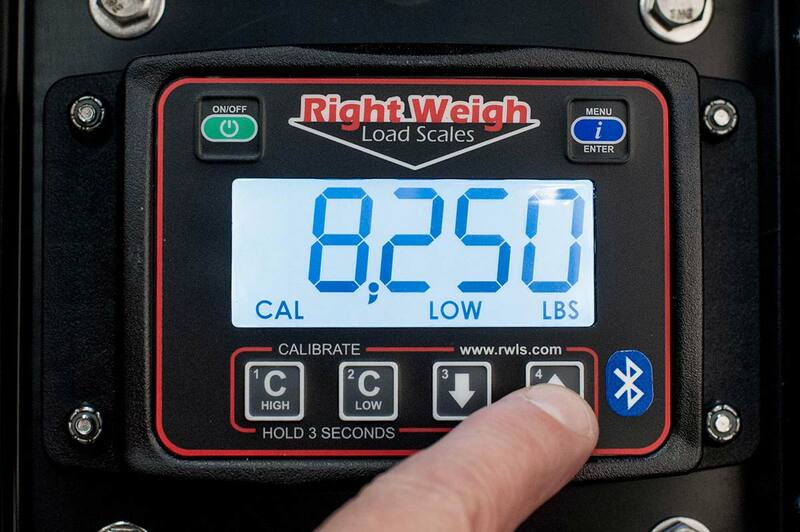 Adjust the weight up and down using the arrow buttons, exactly like setting the empty weight. Press and hold the C HIGH button until “CAL HI” disappears from the screen to save the calibration point. Your scale is now ready to use!